The dropout rate amongst the high school students in the State of Louisiana has decreased in the past 5 years from 7.5 percent to 6.8 percent, this is according to a report from the U.S. Department of Education. Meanwhile, a report from the Louisiana Department of Education showed that the dropout rate amongst the high schools students in New Orleans Parish has decreased from 3.2 to 1.1 percent in the past six years. The report also showed that New Orleans has a lower dropout rate amongst high school students than its neighborhood Jefferson Parish that has decreased from 7.4 to 6.2 in the past six years. Damekia Morgan who works at Families and Friends of Louisiana’s Incarcerated Children (FFLIC) said, the LDE report is unclear to her when comparing the student population pre-Katrina and post-Katrina. “I will be curious to know what are the number of students that we have enrolled in schools now versus pre-Katrina. 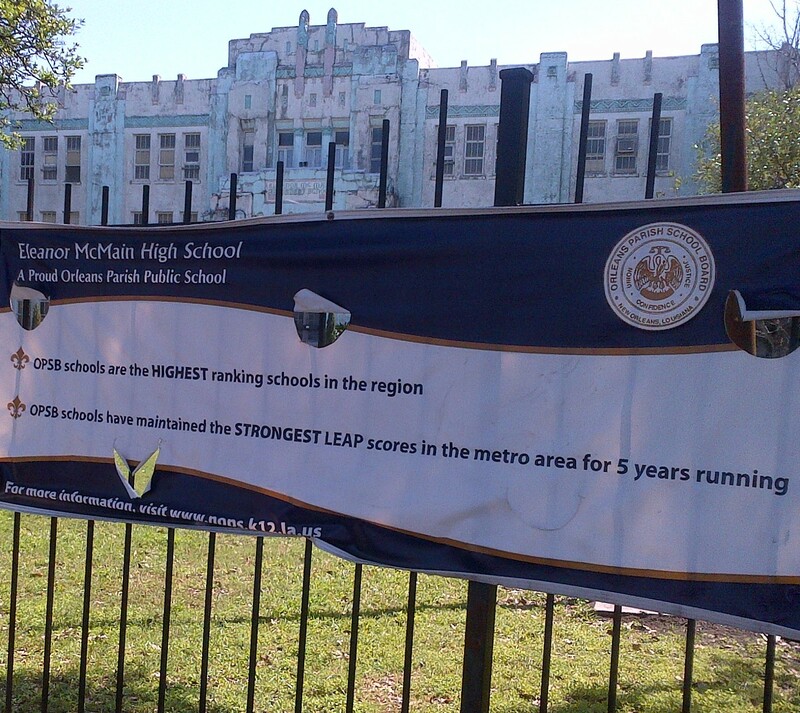 Because in terms of the dropout rate, to say the dropout rate in Orleans Parish, is what you say, has decreased you will have to look at… a system that has a consistent attendance rate, right or enrollment rate,” Morgan said. 29 percent of all public schools in New Orleans are under academic watch, according to the 2011 Cowen institute for Public Education Initiatives report. Jill Zimmerman who works as a researcher at the Cowen Institute for Public Education Initiatives said, the LDE report refers to certain schools, not all of the schools that are in the New Orleans school system since the system is fragmented. “In term of measuring improvement in term of dropout rate in New Orleans, it’s actually even when you have all of the rough rate data, it’s really difficult… The reason for that is that we’ve seen a lot of transition at the high school level in the past few years,” Zimmerman said. According to the Cowen Institute report the New Orleans public school is divided in two parts: Traditional Public Schools and Charter Schools. Traditional public schools are directly run by the Orleans Parish and Charter Schools, although received State funding, but they are run by non-profit groups. The report also pointed out a third part which is the Recovery School District or RSD is directly run by the Louisiana Department of Education and non-profit groups. The Assistant Director of Cowen Institute, Debra Vaughan has insisted on the unification of the New Orleans school system. She said this unification is crucial for the system and for experts to determine the improvement in the whole system, not within a part of the system. “We have to stop saying charter schools versus traditional schools, and think about all schools are schools that serve kids. And that way collected data created metrics that we can say this school whether charter school or traditional school is improving and what they’re doing to be better and share those practices across the board,” Vaughan said. With 71 percent of public school students attending charter schools in New Orleans. This makes New Orleans the district that has the largest percentage of public school students attending charter schools in the nation, stated the 2011 Cowen Institute. The report also pointed out that one third of PK-12 students in New Orleans are enrolled in private or parochial schools while nationwide private school enrollment for PK-12 is nearly 11 percent. Although some experts agree there is growth in terms of school performance in New Orleans, they are also cautious about the report showing the entire system has been improved. “I don’t want us to just be the most improved because where we started was really, really bad. Improvement isn’t enough. I want us to be either first great urban school district, where people want to send their kids to public schools,” Zimmerman said.